10+ Best Architecture Interior Design WordPress Theme for architect. Are you looking for architecture interior and exterior design WordPress themes? I made a collection of 10+ best Architect WordPress theme for architect, interior designer, exterior designer, architecture agency, commercial architect and furniture designer. Archi is a beautiful and full responsive WordPress theme for interior design architect agency and company. Archi is responsive architecture theme for residential and commercial architecture agency. Archi is built with premium plugins like Revolution slider and visual composer. Its also Woo commerce Compatibility. Archi come with feature like 18 Home Pages Version , 4 Landing Pages Versions , 4 Comming Soon Versions, Dark And Light Version, OnePage and MultiPage include. go.arch is a luxury, elegant theme with vibrant color and unique typography slik font and unique design elements. go.arch is perfect architecture WordPress theme to make your agency site stand out from the crowd. Hnk is specially made for architecture design company, agency, and decoration design. Ink is best choice for fresh and modern look for your business website. Hnk architecture business WordPress theme has a striking features such as 9+ Project layouts, 3+ Gallery layouts, After & Before Remodeling comparison, etc. Monolit responsive architecture WordPress theme is ideal choice for architect and furniture designer. Its has attractive and creative design theme so easy way to built your website more creative and professional look. Monolit theme has built with plugin like visual composer drag and drop feature also advance elements for visual composer that will save your money and time. Monolit has all the sophisticated 5 demo home pages like slider homepage, slide show, static image, and video (like youtube and vimeo). Arctic is a minimal WordPress theme for architects, creative professional. Its is a full ajax site with an enjoyable responsive design to keep the best experience in any device. Arctic has creative 8 page templates like clients, contact us, home, project grid, project horizontal, home full screen, service and team that will help you to make perfect website for your any kind architecture firm. Ambient made for interior designer and architects, Ambient’s set of predesigned and easily customisable 12 stunning homepage layout helps you launch your website in no time. Ambient stylish portfolio list and single page will help you to display your work in an amazing way also flexible portfolio lists, eye catching portfolio sliders and single project layouts. Ambient comes with collection of carefully chosen and beautiful designed inner page layouts which helps you create your website easily and have fun along the way. Bremen is an aesthetically, clean, minimal and stylish design perfect for all sorts of architect and interior design studio. Bremen come with like 17 sub pages, 3 home pages, smooth parallax effect and retina ready with responsive framework bootstrap. Amaar a large architecture & interior design business WordPress theme. Amaar is very clean and bold design portfolio WordPress theme it will help you build your architecture portfolio website easily. Showcase your website with 6 portfolio layout brings you ability ti create the most beautiful sliders for your website. Amar has 6 home page with variant header layouts. Bauhaus is best showcase portfolio WordPress theme and template for architects and interior design and any professional architects. Bauhaus is very impressive and attractive design that will help to make your architects portfolio more sufficient. Bauhaus has 17 awesome page with 3 stunning homepage and 40 unique elements its has dark and light style WordPress theme. Architect is white , clean and creative portfolio WordPress theme. Architect is unique design your user will be impresses by the interaction and special effect, multiple niches and possiblities that the theme provide. Architect is designed and developed with multiple layout and style variants for you to choose from. Architect is SEO optimisation ready, awesome slider, drag and drop page builder, mega menu also ready with woo commerce. Brixey responsive architecture WordPress theme is revolutionary and professional architecture theme pixel perfect crafted to assembling your concepts into reality. Enhance your site with these four intro type variations that represent your works in best way. Present your incrediable works in much more efficient way with the inspiring collections for perfect home page variations. The project page layout are thoughtfully refined and designed to look great your client projects. 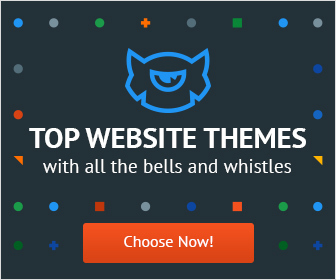 This 10+ list contains the best WordPress theme for architect and architecture related professional and interior designer.Use very simple and important theme options for your website so pic the best theme that are suitable to you and your company.